Since the early 2000's kingsnake.com has maintained a fixed sponsorship system for it's forums and classifieds, allowing it's advertisers to target their advertising to specific markets. Unfortunately the system had a number of issues, the primary being lack of availablity in the popular locations, such as the Ball Python forums and classifieds, leading to waiting lists with multi-year backlogs. In February of 2013 based on the success of the newley introduced pool banner system the decison was made to retire the old fixed sponsorship system throughout the site, even and including the Ball Python and Boa Forum and Classified Sponsorships. 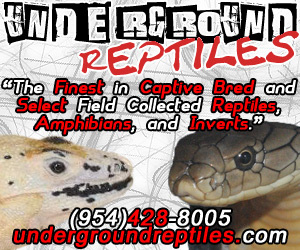 Rather than installing the run-of-site pool banners however we have decided to implement targeted pool banners in both the ball python and boa constrictor classifieds and forums and as existing sponsorship contracts expire, OR as current sponsors choose to convert their existing sponsorships to the ball python pool banners. We have begun to implement some ball python pool banners now, but in the end the 2 banners, a 300 pixel x 250 pixel, and 2 468 x60 pixel will be implemented in 3 locations on the page as presented here, on this page, replaceing the tiny sponsor banners in both locations with multiple placements in the ball python forum and ball python classifieds. Converting an existing sponsorship to the Ball Python Banner Pool is easy. First prepare 2 banners to the specs below, then contact us by email, we'll take care of the rest. Conversions are on a dollar per dollar basis, calculated by the days remaining on the contract multiplied by .55¢ per day for classified sponsors .28¢ per day for forum sponsors. To purchase a slot in the banner pool, choose a payment method below. Please note that ball python banner pool banner slots are limited to 1 slot per business. This site optimized for 1024x768 resolution.